Mrs MUKANSORO holds a bachelor’s degree in Management from the Kigali Independent University (ULK) and she is undergoing an ACCA program. Before joining the ARCOS team, she worked for PRIME ECONOMIC ZONES Ltd for over two years as an accountant where she was in charge of overseeing the day to day running of the accounting and ensure full operational compliance of the company to international standards and local requirements among others. Previously, Ms Beatrice worked at BANQUES POPULAIRES DU RWANDA for 12 years where she occupied several positions such as Credit officer, Recovery officer and Accountant. 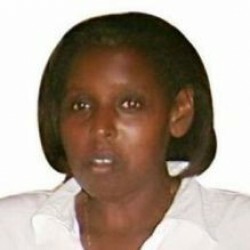 As Finance and Administration Officer, she is responsible for co-ordinating the implementation of policies, procedures and systems for all financial and administrative support services of ARCOS activities primarily in Rwanda and lead the design, development, coordination and implementation of an effective grant management system for the organisation to ensure that activities carried out contribute to successful delivery of ARCOS Strategic Plan.